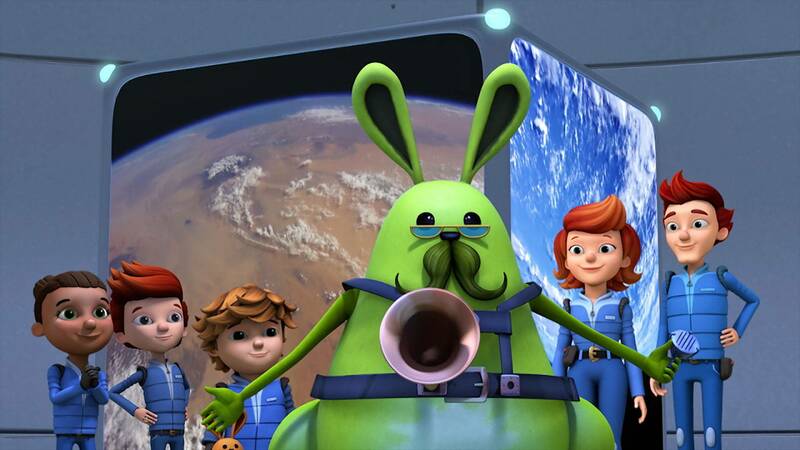 Get set for a new, one-hour Ready Jet Go! special, Back to Bortron 7. When Jet’s parents need to return to their home planet, Sean and Sydney join the Propulsion family on an epic adventure to Bortron 7. Encore viewings occur during PBS KIDS’ Family Night on Friday, Saturday and Sunday throughout the summer.